In light of this being Open Access week, I thought I’d share a story about attempts to restrict the flow of information through excessive monetization and metering. Last week, Joshua Gans, a professor of strategic management, argued in an article at FT.com that the Financial Times should drop the Harvard Business Review (HBR) from its list of journals that is uses to rank MBA and EMBA programs (the number of times a school’s faculty publish in 45 key journals is part of the ranking criteria). Gans suggests that because of the exclusive deal that Harvard Business School Press (HBSP) struck with EBSCO that requires schools to pay an additional course use fee for HBR articles used in classes, that journal is now in a special category of publications that is distinctly different from the other 44 titles that FT uses for its ranking criteria. Gans suggests that HBR is now being treated similarly to the case studies series that HBSP. But high-quality information – ideas that have been carefully crafted by authors and editors to make sense to managers and to achieve maximum impact – comes at a cost. One hopes that other publishers don’t follow suit and argue that they too have journals that are equally special and start striking similarly restrictive deals with aggregators like EBSCO and ProQuest. We watched a video from Ex Libris about Primo, a web-scale discovery tool that CUNY is working on a licensing for all of the CUNY libraries. We compared the interface with that of Summon (Bearcat Search) and with a trial we have from EBSCO of EBSCO Discovery Service. We next looked at the nearly content-free video from Ex Libris about Alma, the company’s uniform resource management system (actual details of the system can be found on the Ex Libris site). Boston College is the first Alma customer to go live (details in this Digital Shift article from Library Journal). As a group, we thought it would interesting to poke around in the PolicyMap database we have a trial for (a link to it can be found on the “Trials” tab on the Databases page). We looked at StackLife, which has been set up for the new Digital Public Library of America and is being piloted for Harvard, too. We then looked at BrowZine, an iPad app that lets you browse journals your library has online access to and save them to your bookshelf in the app. This video gives a good overview of what it looks like on an iPad. Harvard has also been piloting its “Awesome Box” project. As books are returned to the library, patrons may elect to bypass the usual book drop off slot and instead place the book in an “Awesome Box” as a form of recommendation. 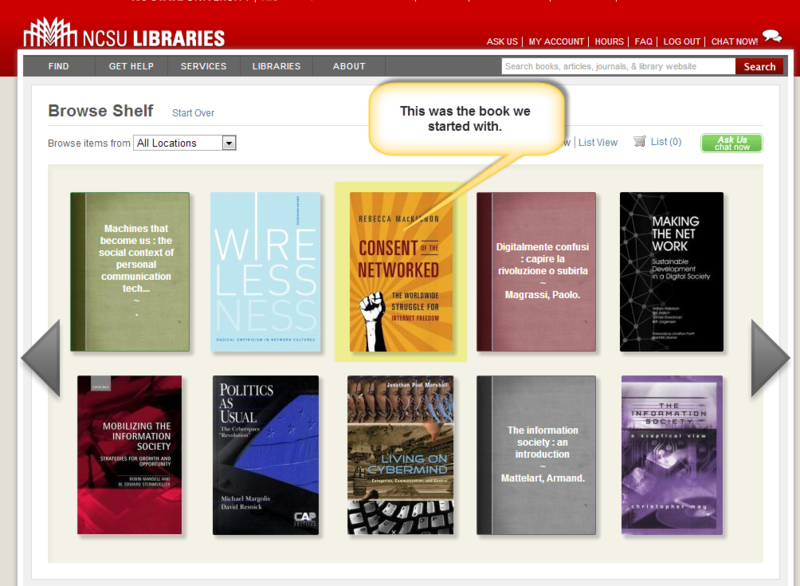 Items returned that way show up in a special Awesome at the Harvard Library page (which features a RSS feed of items featured there). We learned about a new wifi channel, Baruch-FacStaff, that is being tested out now. When configured on your mobile device–laptop, phone, tablet–it will automatically connect you to the wifi network as soon as you come on campus and it will allow access to the network drives. We talked a bit about the recently announced restrictions on use of Harvard Business Review content in Business Source Complete. It’s not quite clear how or if this will affect our use of the journal. We got a preview of the not-yet-launched update to the Baruch College app (the current version can be found in the iTunes App Store). We began the Tech Sharecase by watching Microsoft’s Blaise Aguera’s TED presentation on Bing’s augmented-reality maps. The presentation demoed the image and video capabilities that have been integrated into Bing Maps. The demo features live video feed from Seattle’s Pike Place accessed directly from Bing. This is similar to rumored Google plan to move beyond Street Views to capture the inside of retail stores. Applications for such capabilities in the Newman Library may include virtual tours of the library building as well as capturing the history of the building as a power station. This could also be a solution to the lack of signage in the library. The conversation then turned to Four Square. Four Square is a social networking tool that pinpoints geographic locations people visit and currently are. Users can view locations, called venues, and see what the venue has to offer, who’s been there and how often they’ve been there (through frequency of virtually tagging themselves). The person who “visits” the venue the most often becomes the “Mayor” of that venue. Currently, Stephen is the “Mayor” of the Newman Library on Four Square. We discussed the possibility of a contest for students to compete to become the Mayor of the Newman Library on Four Square. We then discussed the misinformation in searching via Google Maps. For instance, if you google Baruch, the phone returned is for the dean of the Weissman School. The website address returned when googling the Newman Library is athletics.baruch.cuny.edu. Google News, Fast Flip, was also discussed. Fast Flip is the service at the bottom of Google News that allows you to flip through the stories as if flipping through a magazine. News featured here tend to be a combination of the odd, gossipy, science-oriented and tech-oriented. Changing topics entirely, we conversed about the new capabilities to add a chat widget into the EBSChost databases. 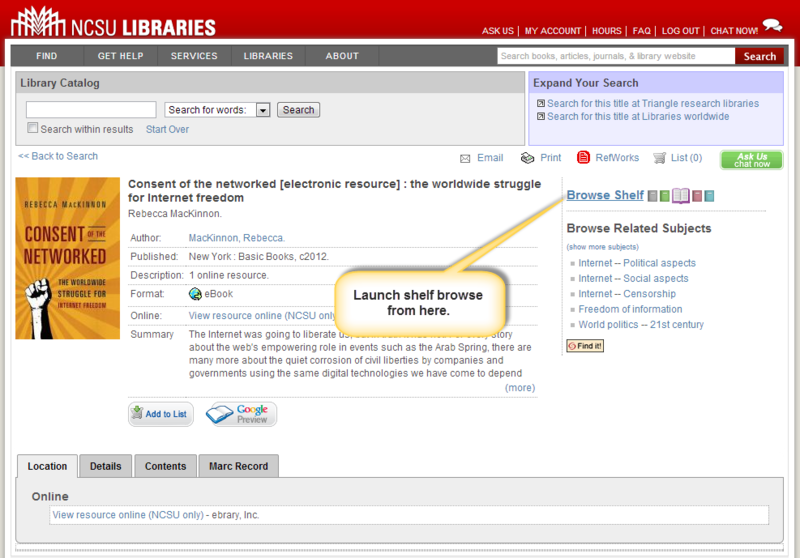 It’s possible for our 24/7 chat service to reside in a space on EBSCOhost. 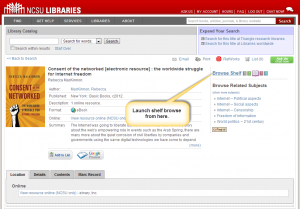 It would be an opportunity for students to access a librarian while searching any EBSCOhost database. A possible pitfall to adding a chat box would be a disconnect in context between the patron and librarian. A Baruch Librarian, or another librarian in the QuestionPoint consortium, would not know if the patron came from EBSCOhost or the Newman Library webpage. If a different set of expectations existed, or a different type of question was being asked by a patron coming from EBSCOhost, it might lead to problems when a librarian is unaware of a patron’s origin. A recent article in Library Journal by a librarian at Oxford University notes that Harvard Business Press may be backing away from its controversial effort that asked libraries to pay for the right to deep link to Harvard Business Review articles in EBSCOhost’s Business Source Premier. Flegg, Chris. “Libraries Clash with Harvard Business Publishing on Deep-Linking.” Library Journal, 20 August 2009. Web.